Campingplatz Gerbe er en campingplass i Meierskappel, Luzern. Denne campingplassen med skrånende terreng har steder uten skygge og plasser med noe skygge. Denne inspektøren besøker hvert år Campingplatz Gerbe og inspiserer campingplassen for ca. 200 fasiliteter og for andre punkt som forekommer. Inspektøren er en medarbeider fra ACSI og arbeider ikke for campingplassen. Well, this is a basic site, just a large farm field and you can site yourself where you like. It is very rustic to put it politely! We love rural places as a rule but this was really too basic. There was a violent storm and the site was flooded badly, through the farm buildings and manure pile! We and many others were towed to higher ground by the farm tractor (they were very good with that) and campers had to sleep in the hay barns. We had water up to 4 inches inside our van and it took us 3 days to clean and dry everything out... However, it was a sudden flash flood and no one's fault! We continued on our holiday and put it down to experience. The area was not particularly wonderful and a long way from Lucerne. Our experience agrees with other reviews (in English). Camping on a farm in middle of bumpy field surrounded by seasonals? workers? caravans. Bit muddy and it was a dry day. Facilities clean and hot though rather primitive. We had planned to stay 2 days but moved on after 1 night. Lovely site. If you are looking for a pristine site this is not for you, it’s a working farm. The bar area was lovely and the staff were excellent. Washing facilities were adaquat. Vil du booke campingplassen Campingplatz Gerbe eller få mer informasjon? Det går bra med opplysningene nedenfor eller via campingplassens nettsted. 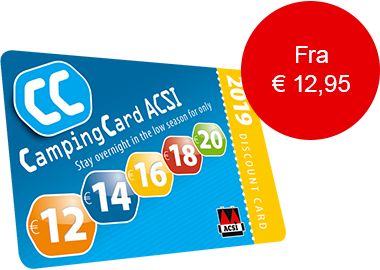 ACSI Eurocampings sender din forespørsel til "Campingplatz Gerbe".